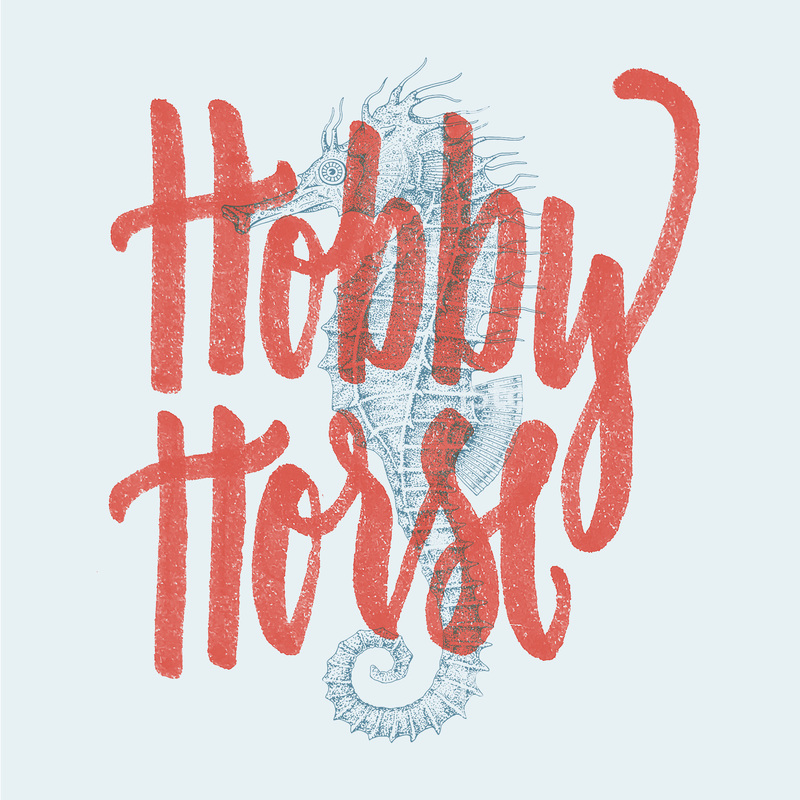 Hobby Horse - Blog - New show art! My former coworker Pavel Macek gifted me something really special in the new cover art for the show. I wanted something more professional, more hand-done, and something with softer colors. Pavel delivered with an actual scan of his own handwriting done in crayons scanned over a seahorse. 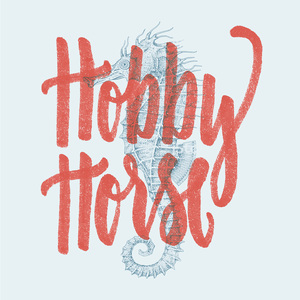 I love that curveball, it's something vaguely horse like but a little off-kilter, much like the hobbies and side projects people have.